Clients of social analytics platform Pulsar now have access to Facebook topic data following an agreement with “human data intelligence” provider DataSift. 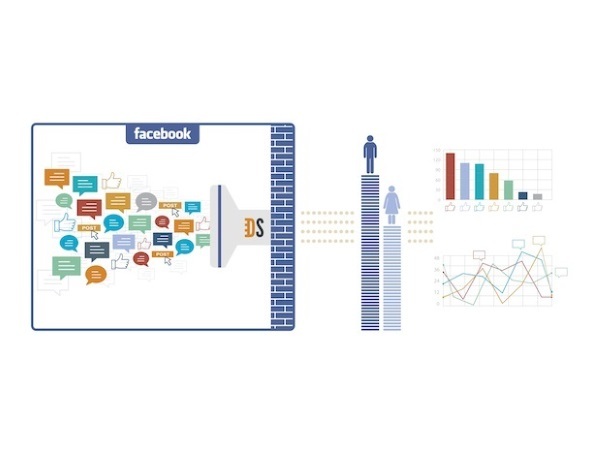 DataSift worked with Facebook on the launch of topic data, which allows marketers on the social network to drill down into data of what users are saying about events, brands, subjects and activities, completely anonymized. Anonymous and aggregated Facebook topic data is a whole new model for extracting value from social data, designed to protect users’ privacy while at the same time fostering a more solid and replicable way of doing social media research. We believe this will be transformative not only for the marketing industry, but also government and the third sector, too, as these organizations seek to innovate and integrate big data into their social research and planning. Facebook is a global platform and the biggest social network in the world. This scale makes it more relevant to think of anonymous and aggregated Facebook topic data more as a census than a sample, coming close to 100 percent coverage of some population groups. By integrating Facebook topic data into Pulsar, we are enabling our clients to conduct robust market research by providing massive-scale, top-quality data and deep demographic insight in a way that protects people’s privacy. This will result in improved content and campaigns, as well as confident and better-informed decision-making. Our vision at DataSift is to give organizations across the globe the ability to answer business questions, drive the decision-making process and derive real business value from the huge pool of unstructured data that’s now out there. I’m delighted that Pulsar is partnering with us to provide its clients with further insights into what audiences are engaging in on Facebook, in a privacy-safe way. Readers: What are your thoughts on Facebook topic data thus far?